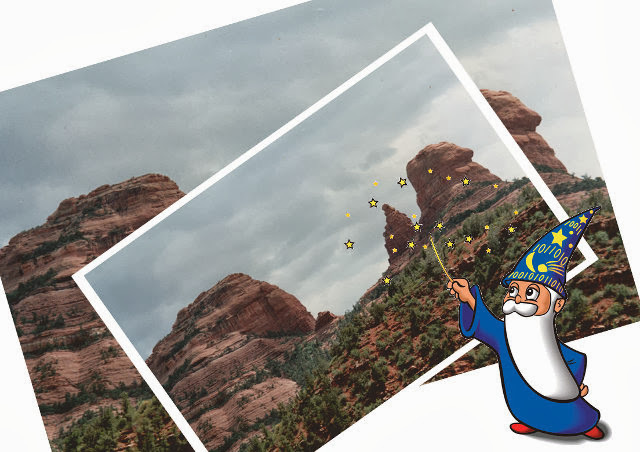 Bear in mind that creating a PDF document from multiple JPEG images can take some time and you may want to trial different settings for size and quality of output, so I suggest you make a copy of the JPEG files in a temporary folder to play around with and use Imagemagick on those, NOT your originals. Reducing the resolution as a first step will also make things much quicker. which works most of the time, however there's a bug in the convert routine which can in some versions give a segmentation fault when converting a number of JPEG files to one PDF file. What this command does is take all the .jpg's (or format of your choice) in a folder and convert them to a single PDF - you can name it whatever you like. but the zip compression appears quite inefficient and results in huge file sizes. which works, but takes longer as you're combining batch operations. Great tip man. This was all that I needed in order to create a pdf. I just changed a parameter "convert *.jpg -compress jpeg output.pdf"
nice post i am looking for this from last week. I find a free online pdf to image converter, you can convert pdf to jpg online free. I'm not a developer, i always use this free online pdf to image converter to convert pdf to jpg online. But how about the other way round? Do you have any idea how convert from pdf to image? I was looking into other forums, seems like ImageMagick is good, and freely available too. Several ways to skin this particular cat, very much dependent on how your source PDF was created and how the images are embedded/layered in the document. On Linux, there's a good command line tool: pdfimages. I'll take a look at a basic tutorial some time. convert image.pdf image.jpg will convert a pdf to an image. You can use -quality et -density to deal with quality. You will need to download the free new pdf from images filename. download this new pdf from images filename with high quality on page http://www.pdfcoding.com/online/pdf/convert-jpeg-images-to-pdf/. Convert PDF to Imagesusing mobile app dowmload mobile PDF to JPG converter, PNG and TIFF image converter.Free online service to convert a PDF file to a set of optimized JPG images. It offers mass conversion in mobile android Convert all pages in a PDF to JPG or extract all images in a PDF to JPG. Convert or extract PDF to JPG online, easily and free.